The “Maths for Industry 4.0” conference brought together mathematicians with companies aiming to start the next digital revolution. 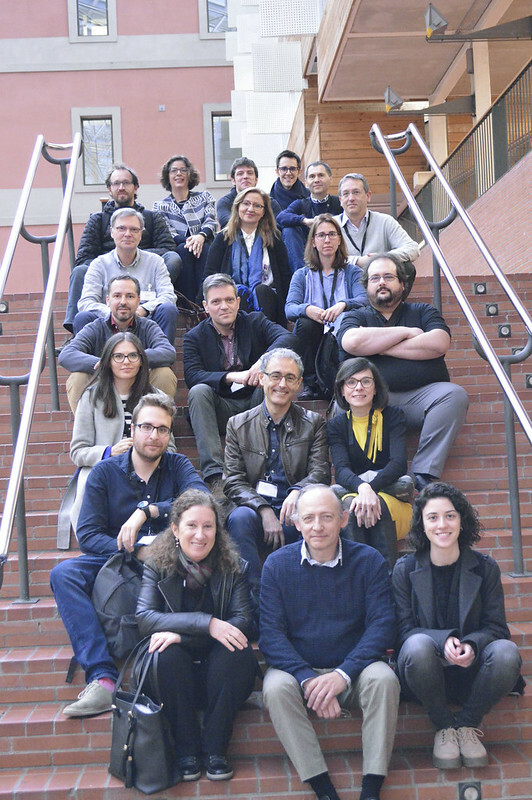 The conference on 19 February on the Ciutadella campus was an initiative of Mobile Week in Barcelona. 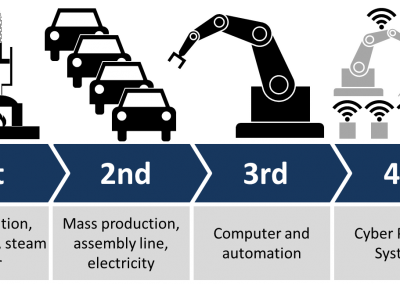 Mathematics are the highways of the next industrial revolution, the so-called Industry 4.0. 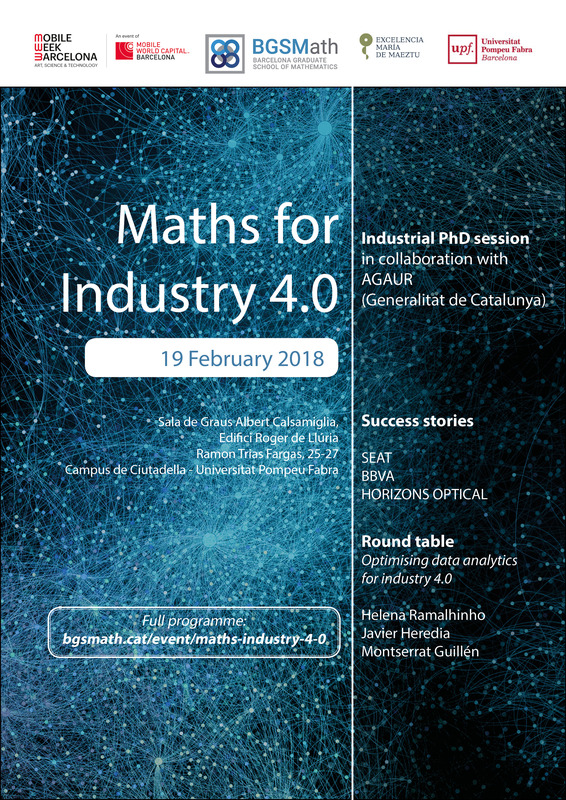 The Barcelona Graduate School of Mathematics (BGSMath), in collaboration with Pompeu Fabra University, one of the five centres that belong to the organization, and in the framework of the activities of Mobile Week, organized for Monday 19 February a day dedicated to the theme: “Maths for Industry 4.0”. The event involved the participation of mathematical research groups who are working in the areas of statistics, operational research, data science and modelling, along with companies and organizations advancing digital industry. 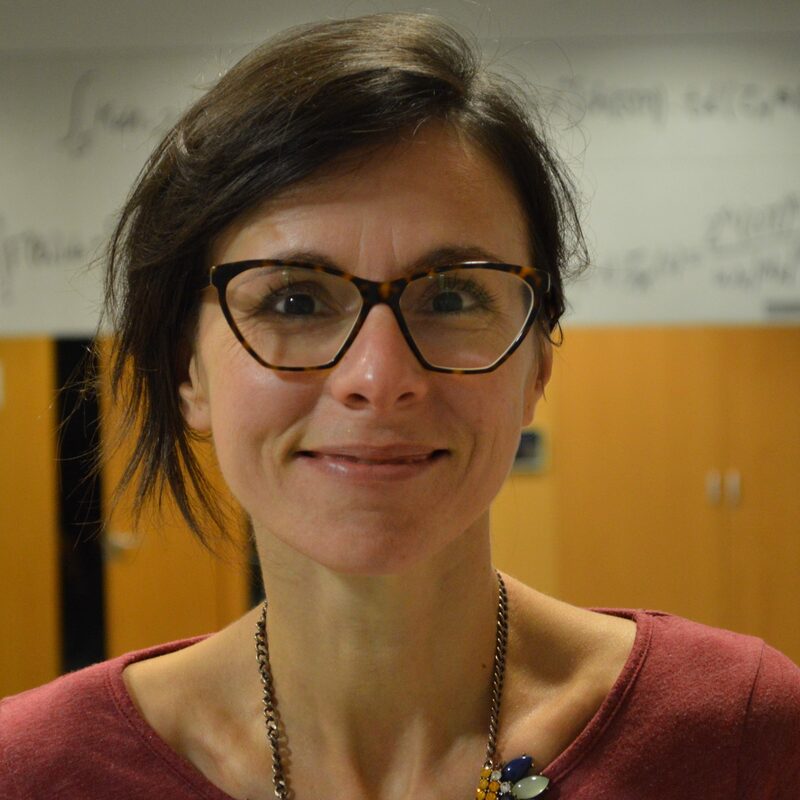 “The increasing quantification of the industries has led to a large amount of data that may hinder the transformation of industry”, explained Arantxa Sanz, research programme manager of the BGSMath. “For many companies and industries, this is a new challenge. And it’s not a problem of computing capacity. We mathematicians offer these companies a competitive advantage because we help them to extract knowledge from information”. 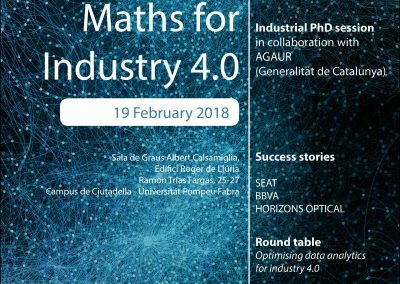 Helena Ramalhinho, director of the Business Analytics Research Group at UPF and a member of the BGSMath was one of the participants in the round table dedicated to the optimization of data analysis during “Maths for Industry 4.0”. 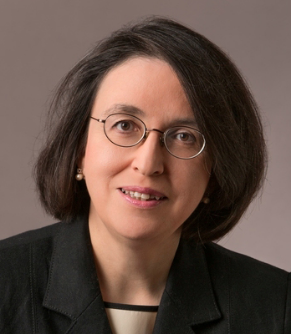 She is responsible for numerous projects that focus on the improvement of industrial processes and of management, thanks to the development of models, algorithms and innovative methods. Examples of optimization problems the group studied include warehouse picking; distribution routes for the delivery of goods by companies selling online; the location of facilities such as medical centres, or the improvement in the planning of human resources, such as the drivers of a public transport company. “The competitive advantage that a good team of mathematicians can give a digital company might reach savings of 20 to 30% and a significant improvement in customer service”, said Ramalhinho. “As universities, we have the ability to innovate and invent, and the companies provide us with real problems and data on which to work”. One of the best ways to promote cooperation between universities and industry has been the creation of industrial doctorates (‘doctorats industrials’) by the Government of Catalonia, managed by the AGAUR. During the conference, the BGSMath presented examples of successful collaborations with companies such as Seat, BBVA or Horizons Optical. 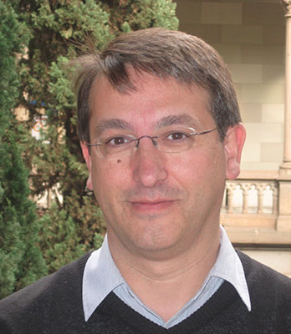 Pedro Díez, who is a supervisor of a thesis in collaboration with Seat on the quantification of uncertainty in crash simulations, is also the director of the Computational Methods and Numerical Analysis (LaCàN) Laboratory of the Polytechnic University of Catalonia, as well as a member of the BGSMath. “We chose a real physical problem presented by industry and we are looking for mathematical tools to come up with a numerical computational solution”, details Díez. The LaCàN has worked on computational and mathematical modelling for such diverse areas as the simulation of radars in self-driving cars, the propagation of waves to analyse port operability, and the long-term resistance of concrete containers for nuclear waste. Contact with industry is “motivating”, according to Díez, “because it helps us to look for relevant problems, and to solve them we can showcase our technologies. And it is a challenge because we have to learn how to formulate the problems presented by industry in mathematical terms”. 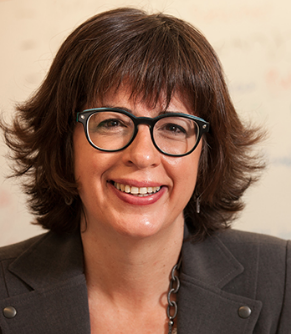 The Group of Montse Guillén, director of the Riskcenter at the University of Barcelona, a member of the BGSMath, is also working on developing tools to get the most out of data, in this case statistics applied to risk analysis. “When you work in the real world”, said Guillén, “often you cannot check if the assumptions of your mathematical model are met or not. However, the actual result may not be far from the theoretical one: and this is why specific methods are used”. She also reminds us that those who work with industry must learn to convey the results in words: “The figures have to be transformed into decisions for companies”, she said. 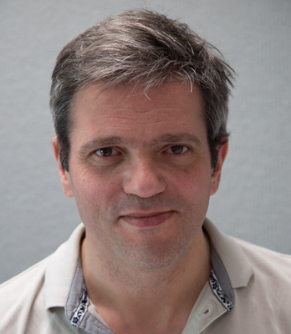 The Data Science@UB group, led by Jordi Vitrià, is working in machine learning, a branch of artificial intelligence. “Machine learning has a major impact on practical life, even though technically it’s very complicated”, he said. “It is therefore an ideal topic for an industrial PhD”. His group is working with BBVA with Bayesian models to calculate uncertainty in the field of finance. 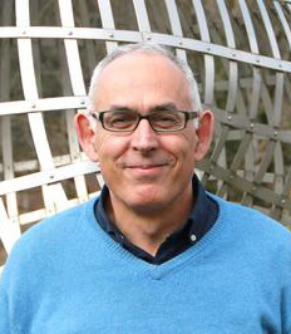 According to the then director of the BGSMath and professor at the Polytechnic University of Catalonia Marc Noy, “if industries really wish to make the leap towards digitizing their processes and artificial intelligence, that is to say, Industry 4.0, they need the creativity of mathematicians. The BGSMath is already involved in fruitful partnerships with companies, which we wish to strengthen yet further. Industrial PhDs are a perfect tool to provide such cooperation”. “At the same time as we are conducting cutting-edge theoretical and applied research, we also wish to train a new generation of mathematics capable of connecting with other disciplines and with other areas outside of academia, such as companies or public authorities. Our ambition is to train highly qualified people, and also citizens who are capable of making major changes in society”, he concluded.